The prices of gold items keep on hitting record highs. It is a win-win situation for sellers and not just conventional traders. We at Unload Your Gold, offer competitive rates on all kinds of gold, especially gold class rings. These rings are sported by people of different age groups including male and female. If you have these rings and need to sell them, look no further. At Unload your gold we also deal with old, broken and unwanted gold class rings. The traditional practice of preserving the jewelry pieces passed from one generation to another is not a hit with all owners. Some owners are looking for the right buyer to obtain a decent sum of money in exchange of these rings. We can be the buyer you’re looking for as our staffs communicate with all kinds of clients on a regular basis. 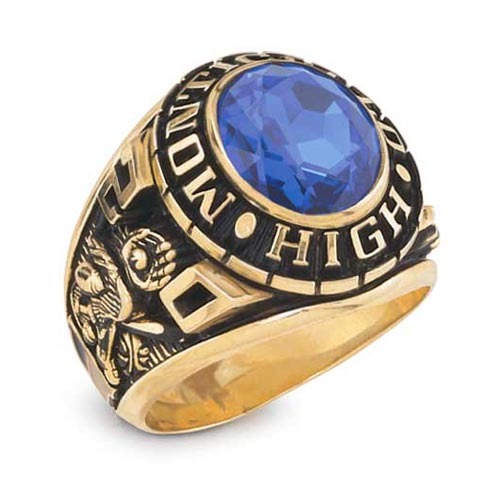 Class rings more often vary in weight and other measurements. Compared to ornate women rings, bulky men prefer rings which are a bit heavier. Many people are not willing to learn about the basics of selling their gold rings. Our experts are well aware of all those things and they can educate your on these aspects. Gold class rings are often gifted by loved ones on special occasions. The collection may keep on growing up to a certain point of time. Growing old, these items tend to lose the shine but never the sentimental value attached. Thinking in practical terms, these items can be used to address a financial issue which keeps on spiraling out of control. By selling these pieces to a reliable buyer, the sum of money obtained can be extremely useful. We have helped many clients by offering a decent rate in exchange for their gold class ring collection. Instead of all in one buyer, it may be better decision to deal with a specialized. Undoubtedly, the heavier rings bring more revenue and it’s no different with us. Our payment structure and different offers are primarily based on the current market prices. There are innumerable buyers both online and offline who promise high pay outs. We are not among them as we always maintain the highest professional and ethical standards with customers. We buy all kinds of gold class rings and provide the sellers with deserved amount of cash. Since our entry into this business of gold rings purchase, we’ve managed to make a name as a reliable and honest gold buying service. It is an achievement for us and our rates can beat several other professional and licensed gold ring buyers. Our ability to quickly assess gold class rings and deciding payout amount position us above the competitors. We are always in lookout for unique rings and unusual pieces which are rarest of the rare. If you are in possession of such gold class rings, get in touch with us. We’d make sure the process is transparent and doesn’t entail unnecessary delay in payment for our customers. You are welcome to get in touch with your questions or even ask for a free instant quote.